CBS has been working to make last.fm a more integrated part of its digital porfolio. In late March, Last.fm announced its streaming music service would no longer be free in some international markets. Tuesday,CBS said it will bring the more than 100 websites in the CBS Radio portfolio and Last.fm together into a single new unit to be called the CBS Interactive Music Group. David Goodman who joined CBS Radio in 2002 will lead the new combined unit. Goodman became President of Marketing in 2005 and President, Digital Media and Integrated Marketing in 2007. Before CBS, he spent six years at the Warner Music Group. Goodman will report to Neil Ashe, the president of CBS Interactive. The combined group will reach more than 40m people, the company said. The hope is that the new structure will streamline the business, reduce inefficiencies and improve the overall user experience. 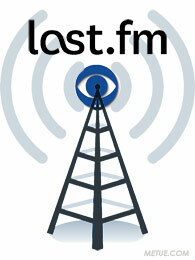 CBS bought Last.fm in 2007 for about $280m.